Running from 1st – 31st July 2013, the 31 Days of German Riesling will see restaurants and independent retailers across the country – including The Kensington & Fulham Wine Rooms, TerraVina, Direct Wines, and Averys – running German Riesling promotions for customers, highlighting the “food matching capabilities, versatility and delicious taste,” of German Riesling. This is the second year for this promotion, organised by Wines of Germany, who say “Last year around 50 restaurants and retailers around the country got stuck in to the 31 Days of German Riesling and this year’s campaign is set to be even bigger. The sheer versatility of German Riesling should make it the natural choice for consumers who are looking for food-friendly, excellent quality wines. We’re aiming to show consumers how great these wines are by encouraging restaurants and retailers to show German Riesling in a different light, through a dynamic and fun sales approach.” Interested restaurants and retailers can still get involved by contacting the Wines of Germany team for a participation pack. 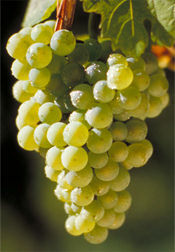 For details of participating retailers and restaurants see 31daysofgermanriesling.co.uk. 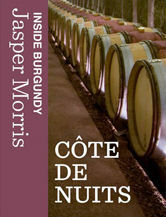 The second in a series of interactive eBooks from Jasper Morris MW has just been released on the Côte de Nuits. The ground-breaking e-publishing venture by Berry Bros. & Rudd received critical acclaim with its first eBook ‘Inside Burgundy: Côte de Beaune’, but now promises to “wow the reader and push the boundaries further with the latest eBook.” For Côte de Nuits, Morris has created five new, interactive plans that show precisely where each wine estate has its vines. “It was a fascinating task, working out who owned which plot,” he says. “The most challenging was Richebourg where figures quoted by other authors on how holdings were split between the two parts of the vineyard, Richebourg and Veroilles, didn’t seem to add up logically. So I prowled round the vineyard and was able to discern the exact detail of each plot by the differing viticultural practices.” The new eBook adds superb photography and video clips to the interactive maps. Profiles of the domaines, expanded and updated from the printed book, detail vines, wines, techniques and philosophies. The book is available now on iPad through Apple’s iBookstore at £9.99 (until 24th June) and £14.99 thereafter. Jean-Guillaume Prats, ex of Château Cos d’Estournel, now head of Moët Hennessy’s Estates & Wines division has revealed that Domaine Chandon’s new Chinese outpost will be inaugurated next month, whilst Domaine Chandon India will release its first domaine wines in October. Moët has a track record of exploring new wines regions – it’s now 40 years since Domaine Chandon in the Napa Valley, California, was established, and since then the company has set up sparkling wine production businesses from Argentina to Australia. 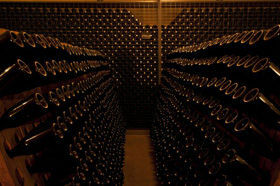 Though a wine from India was made in 2012, it was produced from leased facilities, but 2013 will see the release of sparkling Indian wine under the Chandon label and made in their own facilities. Meanwhile, a 300-hectare Sauvignon Blanc vineyard in Marlborough, New Zealand, has just been sold to a Chinese company, showing that Euro-Oriental wine business is working both ways. Uk trade magazine reported last week that négociant Bordeaux Vins Selection had announced it was to release a case of wines, each of which had received a ‘perfect’ 100-point score from Robert Parker, in wooden gift box signed by the famous wine critic. It caused a small furore as naysayers claimed it as another step in the rampant commercialisation of brand Parker, after he sold his Wine Advocate business to a group of Far Eastern-based investors. However new Editor in Chief of The Wine Advocate, Lisa Perrotti-Brown, has been quick to stress that Parker has not authorised the use of his signature and the cases would not bear it. 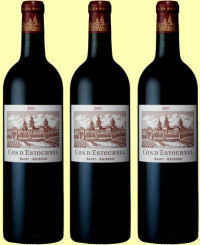 “Robert Parker did not give permission for his signature to be used on any such packaging, and after speaking with Bordeaux Vins Selection, they will no longer be using his signature at all.” she wrote on her bulletin board. 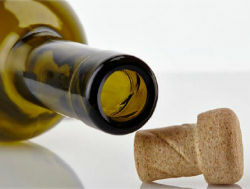 The Wine Advocate has however begun to sell commercial licenses allowing merchants to market cases using Parker scores as the sales pitch, and to include Parker’s tasting notes and scores as part of the package. The Drinks Business also reports that subscription gift cards to eRobertParker.com are now being wholesaled to retailers too.